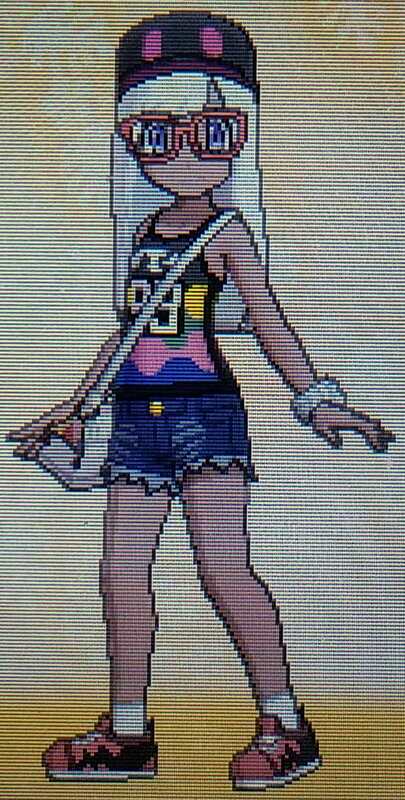 [GUIDE] A Mod's Guide to Fashion in Ultra Sun/Ultra Moon! Legends in making! I'm 0kamii, and tonight I'd like to offer my two cents on a very different type of post. This is my first guide in a lot time, since my Salazzle post, I believe. So let's hope I don't embarrass myself. Before I begin, let me begin by answersing the biggest question you've probably asked yourself: why should I care about my trainer's clothes? You don't. I honestly couldn't care less what y'all wear. In fact, most of you are probably reading this for the kicks. This post is merely here to aid those that do want to dress their best, and if you feel comfortable slapping together any outfit and jumping on Battle Spot, then godspeed. Another thing I'd like to introduce you all too before we begin in the color wheel. See below. There are many renditions of this model, but we'll be using this one for simplicity sake. There are far more advanced models out there, but this one will do fine for what we need. The color wheel will be a good reference point during our design period if we don't know which colors pair well with each other. 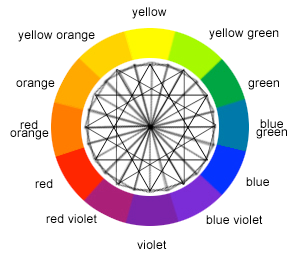 Take note of which colors are directly opposed to each other on the wheel, such as yellow and purple, green and red, etc. This is part of a style choice known as contrast: two strikingly different colors combined in one look. Last thing we need to go over are the types of colors, before we cover the styles available within the games. These will be very brief, so I'll go over them quick. Most easily accessible in Ultra Sun. Best used for dresses, skirts, and accessories. Not wise for shoes, but pair very well with their opposites. Not as much with their neutrals. 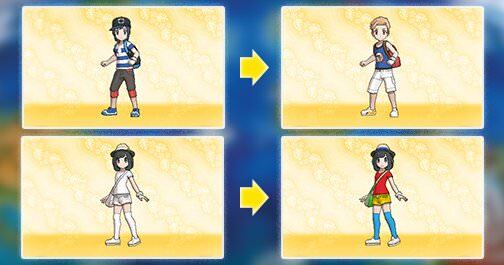 These are accessible in both games, and serve as transition colors no matter what or where it is within the outfit. Typically used for accessories, but can be used on main apparel. And finally the seven distinguishable types of styles within the game and how to dress up to them accordingly. The casual style is the style that most people would assume within the games. This particular way of dress typically involves shorts, t-shirts, sneakers, and backpacks. It's about what you'd expect to see on a trainer running around on a journey and catching wild creatures. This style works well with warm colors, as seen above, but can do well with cool and neutrals as well. Casual is the easiest style in US/UM to pull off, and almost any combination of these types of clothes can be passed off as casual. In this case specifically, I used orange as my foundation color, balanced it out with a plain designed white tee, and threw in black to anchor the colors. I found this matching hat as well as a tie-in, and now I don't just look good, I look casually good! When trying to dress in the retro style, try and imagine if it's something your parents would wear to an old 1960s concert. The retro style relies heavily on things that seem old-fashioned or outdated to an extent. The key to making the retro style work is to fluff it up with accessories, such as handbags, hats, or hair bonnets. Here I've dressed my avatar in a neutral outfit (all black, white, and beige), and added those gym socks to have texture. The large glasses are very reminescent of Iris Apfel, a fashion icon from the 20th century. The secret of this outfit is the balancing of the tones, despite it consisting of the same colors. There's black in the hat and shoes, pulling the eye from top to bottom. The brown of the hat matches that of the bag, and the stripes on the shirt add dimension. A classic example of retro style fashion in US/UM. 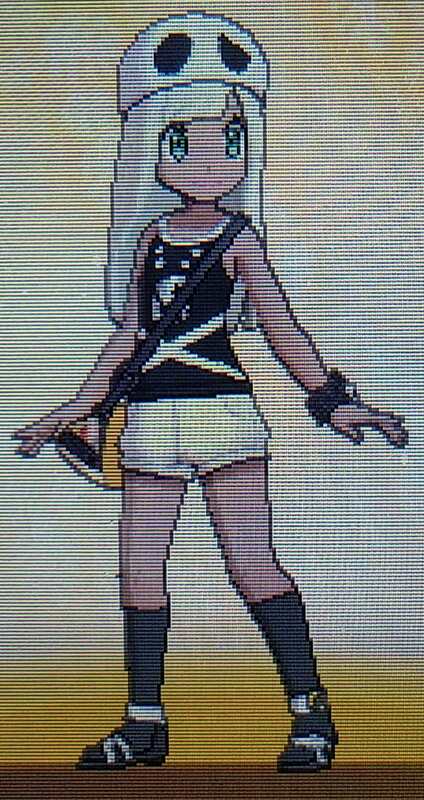 Game Freak must've known what they were doing when they designed the default outfit for the male playable character. The outfit that he comes with is actually a very accurate representation of beachy style fashion, the kind we'd usually see in places like Hawaii where Alola is based. Beachy style outfits are generally going to include soft colors, like the teal, white, and gray that you see here. The red of the hat and shoes is used as an accent, and the bag ties-in with the Z-ring. The Z-ring normally wouldn't be part of an outfit because it's impossible to alter, but here it works well with the colors already in use. US/UM also comes with a variety of floral pattern shirts that would go well with the beachy style as well. They may be tacky, but don't be afraid to give them a whirl! You might just feel the spirit of the islands. Exactly what it sounds like, punk is a hybrid style between retro and casual. Anyone that dresses in the punk style wants to be comfortable, but they want to show they mean business as well. This type of clothing never does wrong with those sludge pieces you find in Heahea City' apparel shop, and here I used the sludge tee as my inspiration piece. I paired that with the sea cucumber cap to pull attention using the two shades of pink, added the red of the shoes for the same eye-drawing effect as on the retro outfit, and gave the character a neutral bag for balance. The bright pink glasses are an accessories that harkens mostly towards the retro half of the style, with the rainbow of colors drawing inspiration from the 70s trends that fit the punk style. The lowcut jeans were pruely aesthetic, any size can work with this style. I'd avoid using skirts and capris in the punk style, too dainty for the look desired. I mean to do a side-by-side comparison for all the styles like this, but clothes in US/UM are not cheap. So I had to use what I had. The sporty style is when the casual style is taken up a notch. The clothes one's wearing look fancy and high-class, but are actually rather basic. They just look more sophisticated when worn together. Typically clothes you'll want to use when trying to achieve this style on the striped tees, the polo shirts, buttondowns, blouses, and capri pants. You typically don't see loafers or espadrilles with this style, as that's considered too formal. Wear sneakers or sandals for footwear here, and don't be afraid to try on trilbys as opposed to baseball caps or the 'casual' cap that comes with the player at the beginning of th game. In both these looks, I chose a foundation color, pink and green respectively, and used neutrals to accent it. On the boy, I used red to tie in with the backpack, and white to offset the black. The girl I used more black, and contrasted it with white. The bright orange handbag is called a statement piece, which is an anomaly used to catch the eye. It's also nearly opposite to green, creating visual contrast with the rest of the outfit. Personally, sporty is probably by favorite style in US/UM. Regal is the most elegant of the styles, and most commonly seen on female trainers. There are not a lot of options for male trainers if they want to dip into the regal style, but the Gracidea shop in Hau'oli City will be your best bet for apparel in the regal style. Be warned, though. It is very expensive. As if it wouldn't be, right? 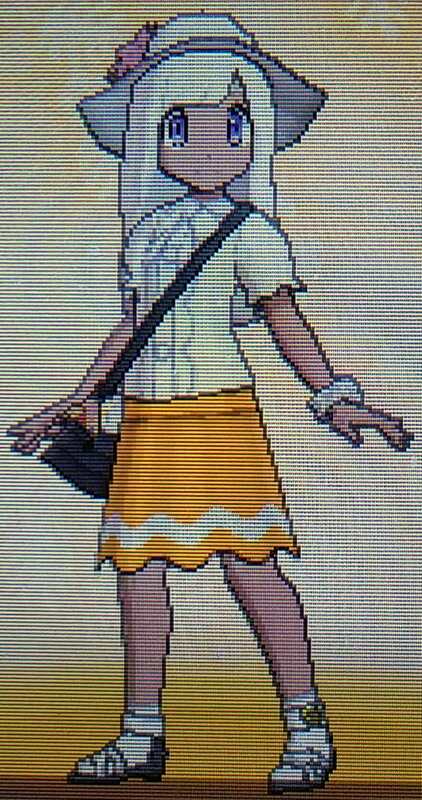 To dress in the regal style, imagine that you are among the same status as Lillie, or Lusamine. Esteemed, froufrou, royal. Try to imagine what your rich alter-ego would wear and that's the regal style. This is the style that you'll usually see with long, flowy hair, big hats, heels, and dresses/skirts. For this outfit, I styled it with a bright orange skirt to break up all the white, and couple it with a ruffled blouse. The pink flower was used for a pop of color, and the black handbag ties-in with the bottom of the shoes. Regal can be beautiful, but given that the pieces used to make it possible are so radically priced, you really have to want it to look it. Not so much a style, more of a feature, costumes are available that you can use to dress up as your favorite characters and pokémon throughout the game. Here I have the Team Skull costume, available to boys and girls, and on the right I have the Nurse Joy costume, exclusive to girls. Other costumes available are Kommo-o armor, karate gi, various pieces of Pikachu apparel. These outfits don't require much additions to look good, as they are the only pieces of clothes in the games that are meant to be part of a set. Everything else is up to the player, these are ready-made. So if you want to look good and don't feel like putting in the work, go for these! Here's a link for all the female's clothing in S/M. Couldn't find one for US/UM, but most of it should be the same. Other than these, the only other things I would say regarding hair, eye color, lipstick and skin, those are all entirely up to the trainer themselves. Far as I can tell, they make little difference in the outcome of the outfit, so feel free to mix and match those things all you want! Whew, that was sure a lot of information. Obviously none of this is intended to be serious, and as I mentioned prior, y'all are free to wear whatever you want, however you want. 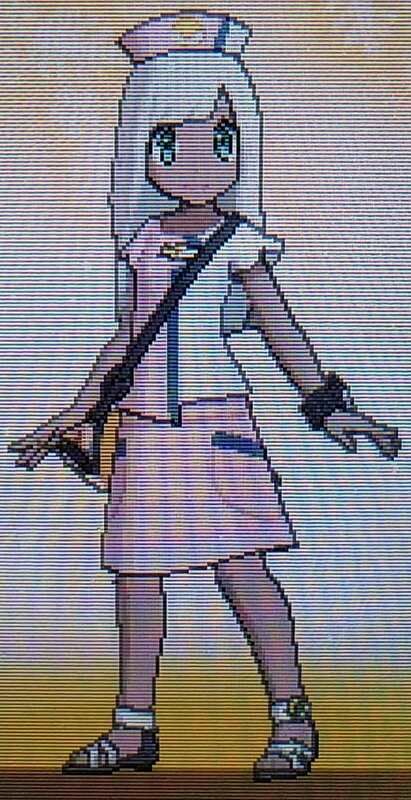 This post merely serves as a waypoint for all those trainers that actually do want to look good in-game, and hopefully I've provided a way of helping trainers do that. Any questions, comments, or suggestions on how to improve this post are welcomed in the thread below, and if I think of anything to add I'll be sure to throw it in somewhere. I haven't made a guide like this in a long time, so hopefully it made sense. Can't thank you all enough for reading, and if nothing else, I hope this post gave you a good laugh. I'll be here tomorrow 3pm EST for the Battle the Mods Weekly Stream, so don't be a strange to our weekly stumblings. I'm sure you'll get as much a kick out of it as we will. "All Our Favorite Ultra Beasts" is coming soon, and be on the lookout for a special announcement Amethyst 0mega has planned for the upcoming month! Be sure to post screenshots of your character's outfits in the thread below, and let me know if this post was at all helpful.